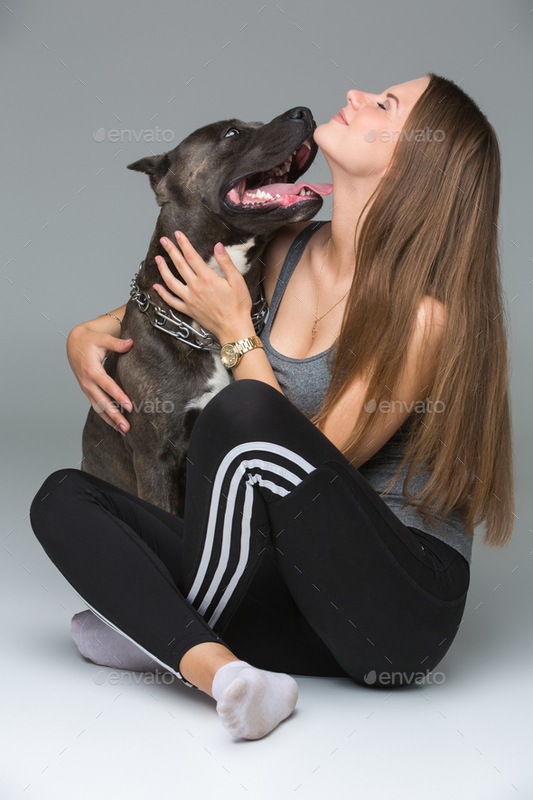 Beautiful sporty young woman sitting on floor and hugging adult grey amstafford terrier dog. Studio shot over gray background. Copy space.